When her parents downsized, this Waterloo designer kept their beautiful home and added her own personality. 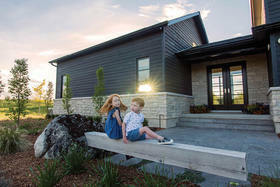 A version of this article originally appeared in the Fall 2018 issue of OUR HOMES Region of Waterloo p.26. Find local businesses in our Waterloo directory. Not all homes passed down from one generation to the next are historical. 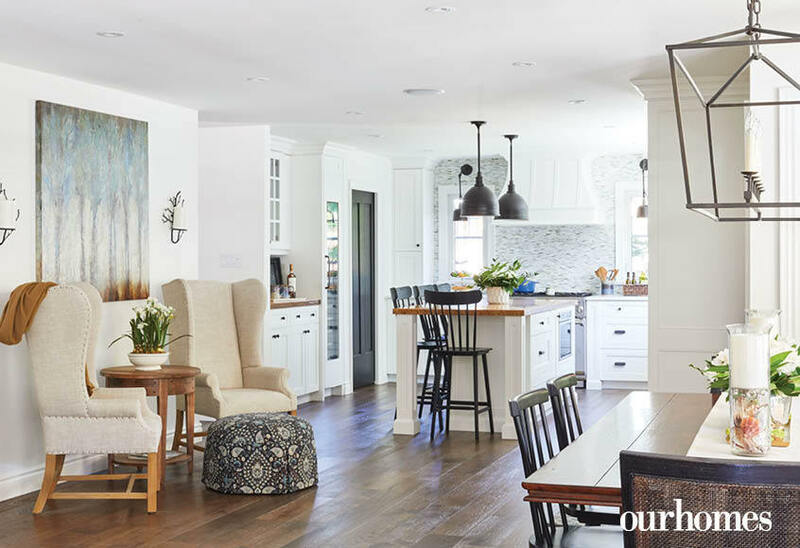 Some are just beloved homes in lovely neighbourhoods that are loved by different generations, like this Chicopee home outside Kitchener owned by Suzanne Tait of Suzanne Tait Design. Suzanne’s parents built this Cape-Cod-style home when the neighbourhood was first being developed in 1988. She was 13 years old and learning about design, so she got involved in the whole process. 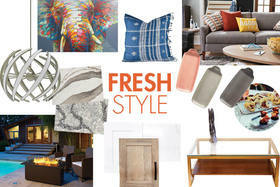 She calls her interest in design and décor a passion she got at a young age from her mother. When her parents decided to downsize, Suzanne and her husband Curtis knew they wanted to buy the home and update it to suit their needs. They renovated, including a significant three-storey addition to the back of the home. 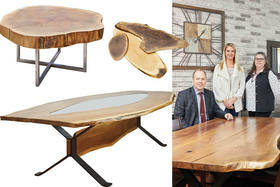 They eliminated a formal dining room to create more casual living space, as well as an office for Curtis. Suzanne put down Canadian-made wide-plank white oak hardwood flooring from Factory Flooring Carpet One Floor & Home. Sliding french doors now open into a small room at the top of the stairs. 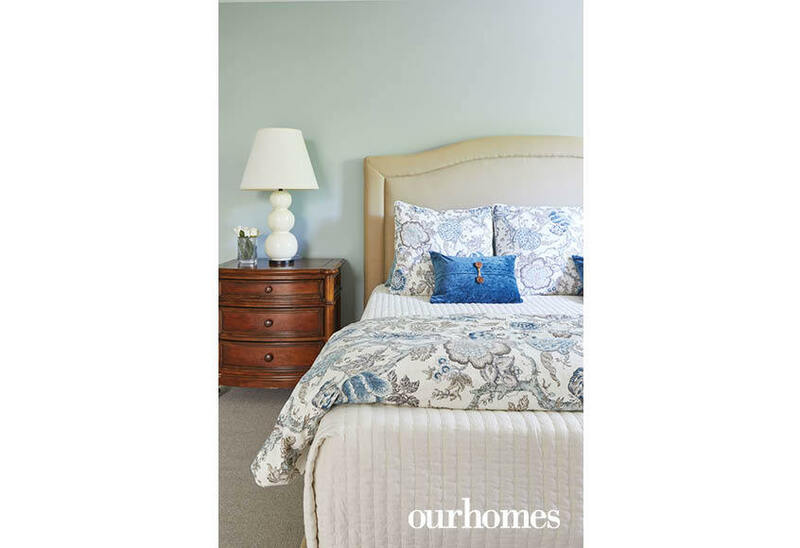 This was a bedroom when Suzanne was growing up, but it makes the perfect space for her to spread out plans and create design schemes for her clients, so it has become her home office and design room. Suzanne has loved this home and neighbourhood since she was young. 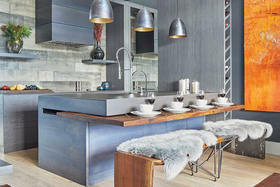 Little could her parents have known that their influence and their willingness to let her help design it the first time around would lead to a career in interior design, let alone redesign this home eventually for her own family. 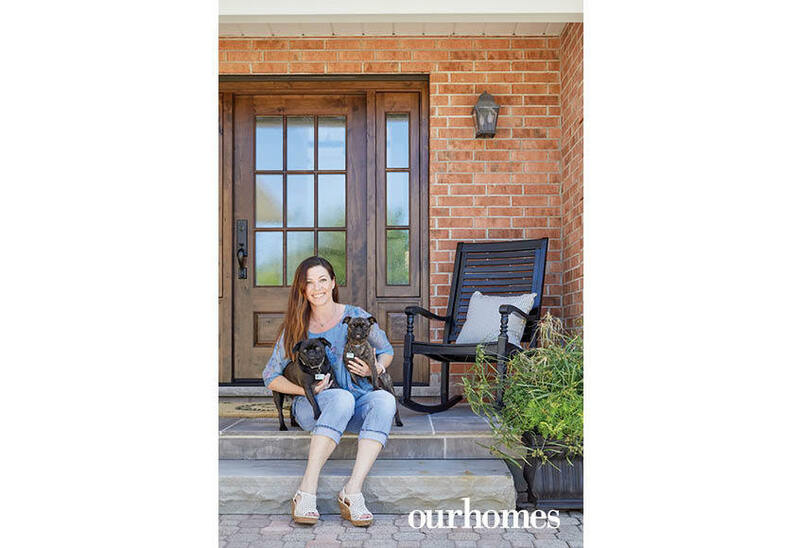 Homeowner and designer Suzanne Tait with her dogs, Major and Thor, sit at her new front entrance, featuring a custom door. Suzanne created a conversation area in the open space between the kitchen and dining rooms. 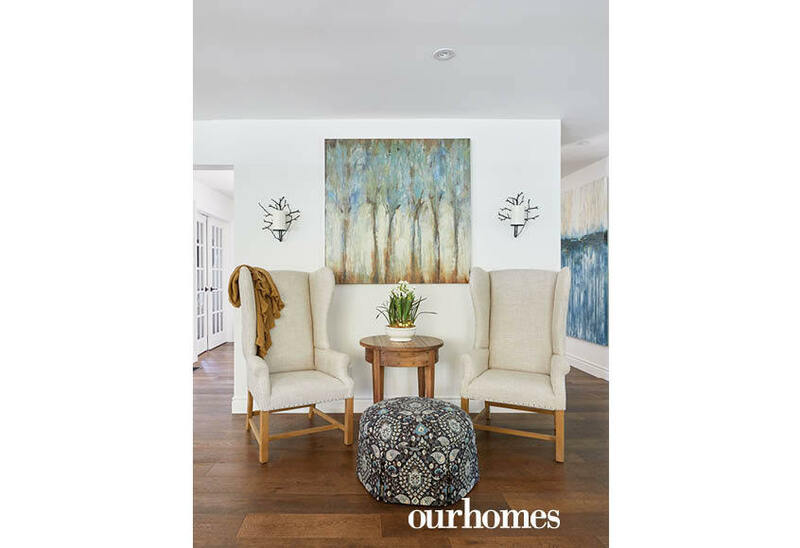 An ottoman and a pair of armchairs become a conversation area in the open-concept dining room. 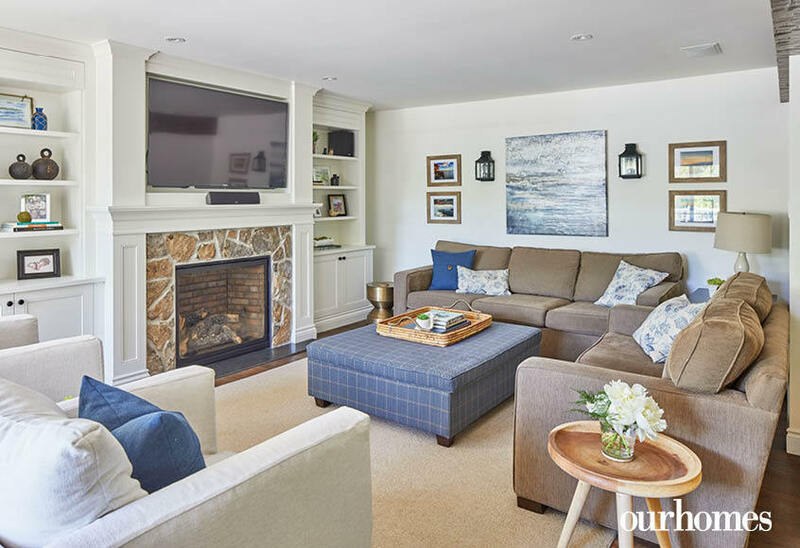 Built-in cabinetry and a warm fireplace make this family room a cosy space just off the kitchen and dining area. 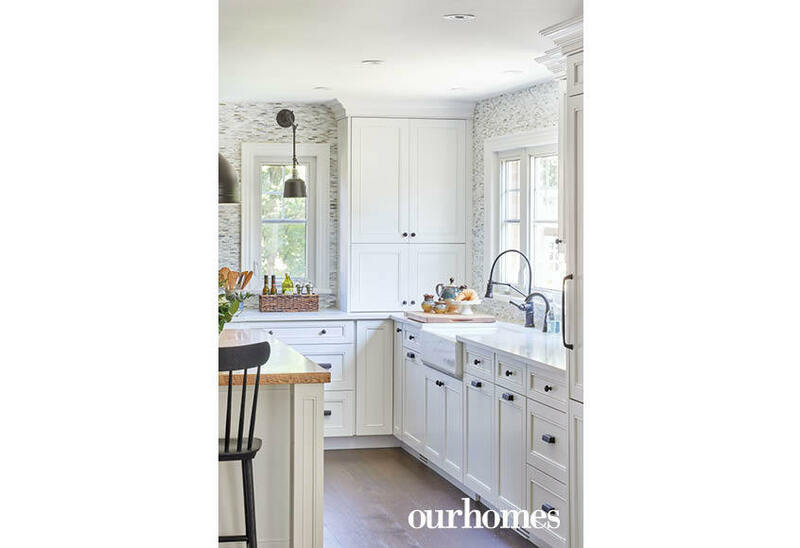 Farmhouse accents like an apron sink and a black faucet pull this black-and-white kitchen palette together. 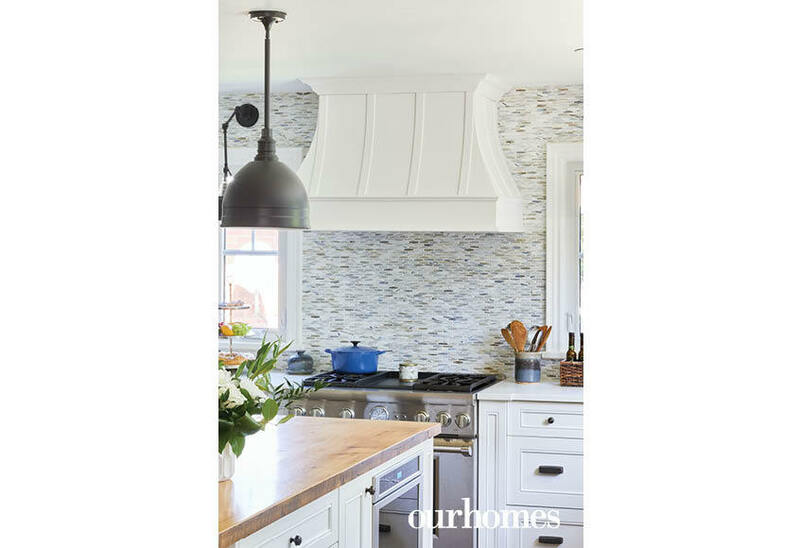 A tile backsplash runs from countertop to ceiling on two walls of this farmhouse-style kitchen. A bench seat in the open-concept dining area looks out to the backyard. 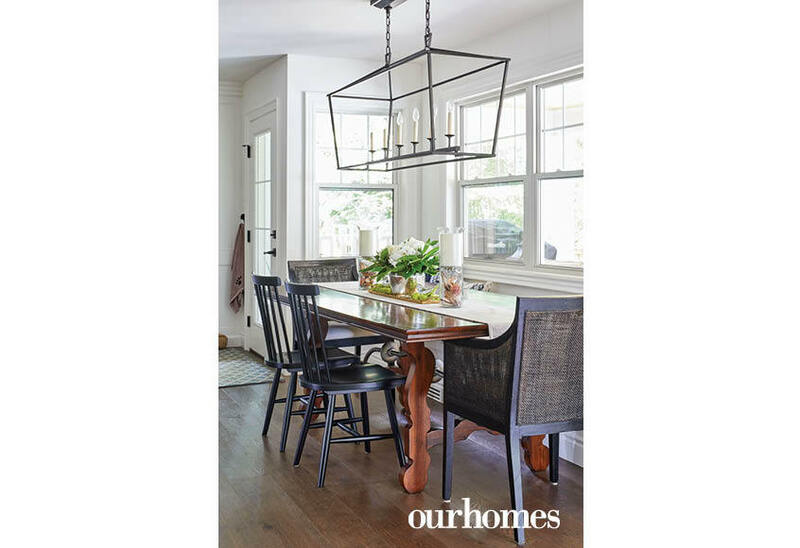 A large, metal, open chandelier grounds the space while keeping it airy. A built-in desk space just off the kitchen allows the children to do their homework nearby. French doors open to a main floor office just off the foyer. 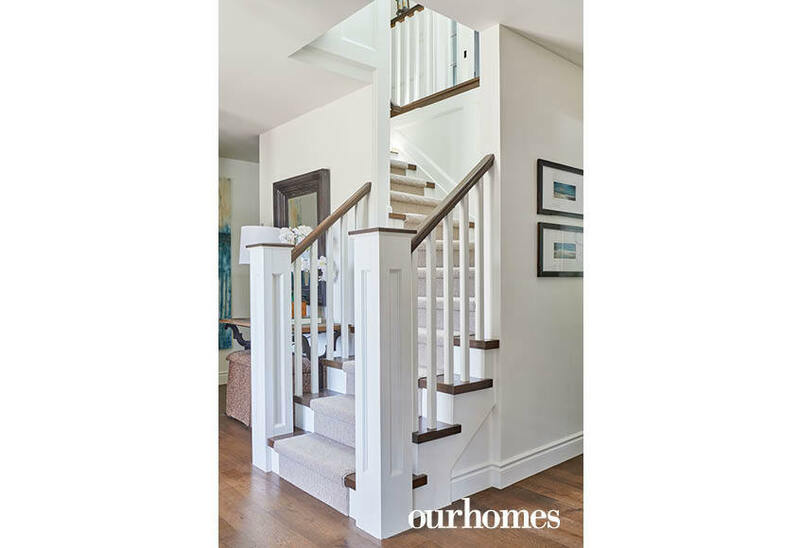 A carpet runner on a fresh staircase leads upstairs to the bedrooms. 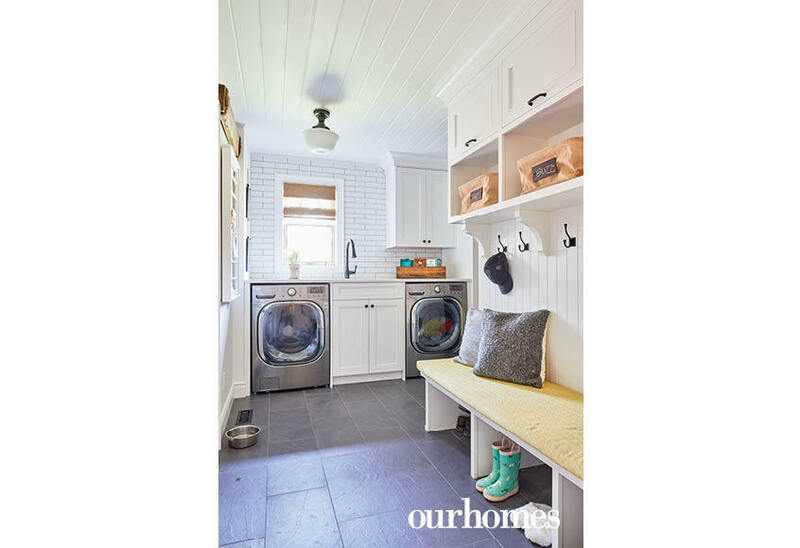 Functionality rules in this laundry and mudroom, which is connected to the garage. This small bedroom was transformed into a creative space where Suzanne can work on design plans for her clients and for herself. The master bedroom is calm and serene. Picasso adds personal interest above the tub in the master en suite. 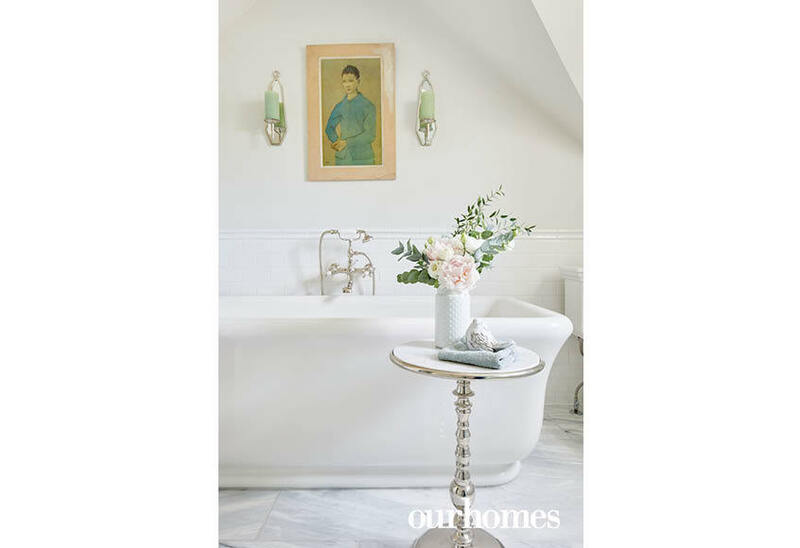 The sleek white master bath is traditional and beautiful. This girl's room is sweet and pink and has plenty of spaces to stash all her goodies. 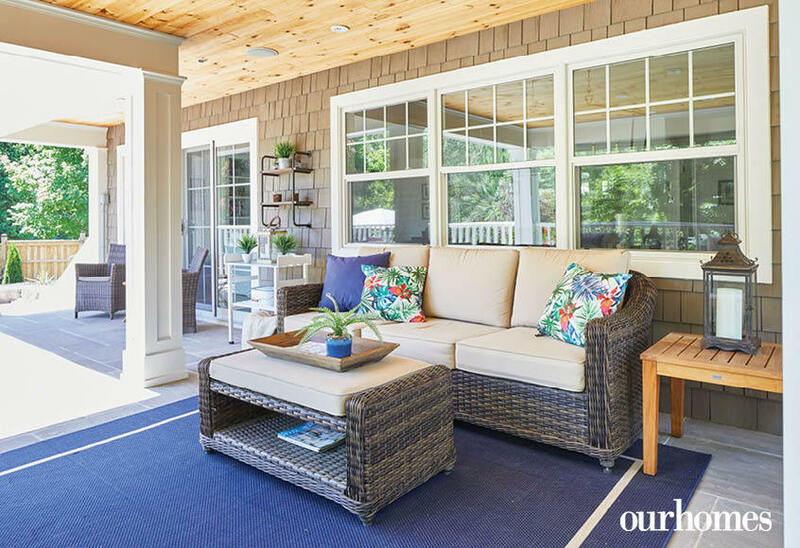 This covered porch is an extension of the indoor entertaining space. 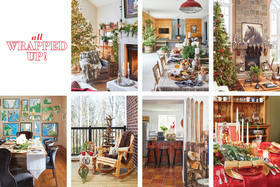 Suzanne has decorated it just as beautifully as the interior of her home. 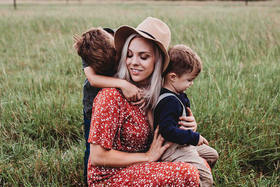 Part of what Suzanne Tait and her husband love so much about this property, which previously belonged to her parents, is its large backyard. A new pool and beautiful outdoor furniture bring it to the next level.